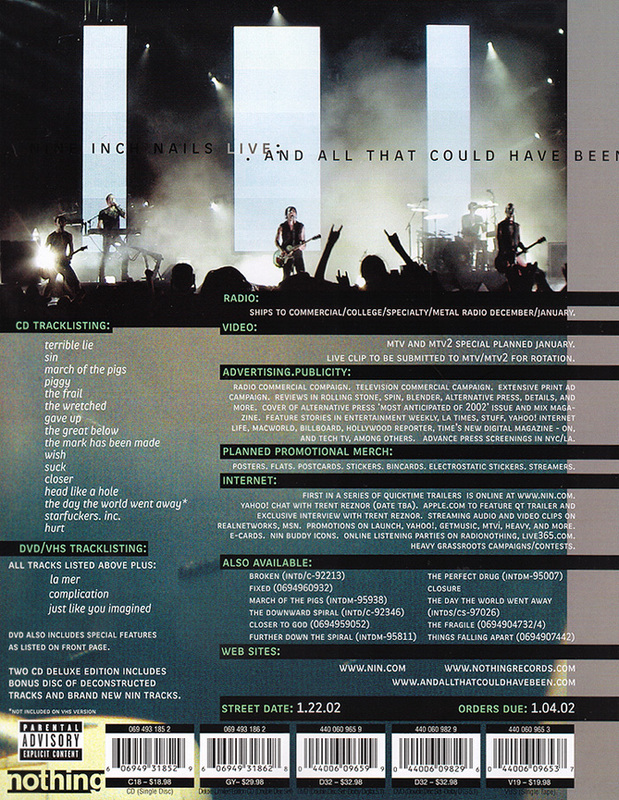 Here are the scans for the And All That Could Have Been promo sheet, courtesy of the Hotline! Hope everyone out there is having happy holidays. One more day 'til Christmas! "When we do a live show, it's not just about learning the songs and playing," says Reznor, mastermind behind the visually intense, sonically complex Nine Inch Nails. "It's also about getting into the right framework to present the music in�the right setting. A lot of thought goes into our live set list based on what we think people might want to hear, what we want to play, what we�re better at and what could be a cohesive show." Don't delay�head on over to apple.com! Radio: Ships to commercial/college/specialty/metal radio December/January. Video: MTV and MTV2 special planned January. Live clip to be submitted to MTV/MTV2 for rotation. Advertising. Plublicity: Radio comercial campaign, telivision comercial campaign, extensive print ad campaign, reviews in Rolling Stone, Spin, Blender, Alternitive Press, Details, and more. 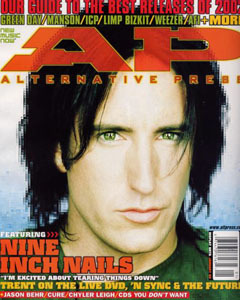 Cover of Alternitive Press "Most Anticipated of 2002" issue, and Mig Magazine. Feature stories in Entertainment Weekly, LA Times, Stuff, Yahoo!, Internet Life, Macworld, Billboard, Hollywood Reporter, Time's New Digital Magazine- On, and Tech TV among others. Andvance press screenings in NYC/LA. Planned Promotional Merch: Posters, flats, postcards, stickers, bincards, electrostatic stickers (window clings), streamers. Internet: First in a series of Quicktime trailers is online at www.nin.com. Yahoo! chat with Trent Reznor (date TBA). Apple.com to feature QT trailer and exclusive interview with Trent Reznor. Streaming audio and video clips on Realnetworks, Msn. Promtions on Launch, Yahoo!, Getmusic, MTVi, Heavy, and more. E-cards. NIN buddy icons. Online listening parties on Radionothing, Live365.com. Heavy grassroots campaigns/contests. It seems like we can look forward to a few sneak peeks at the new material in the coming weeks. 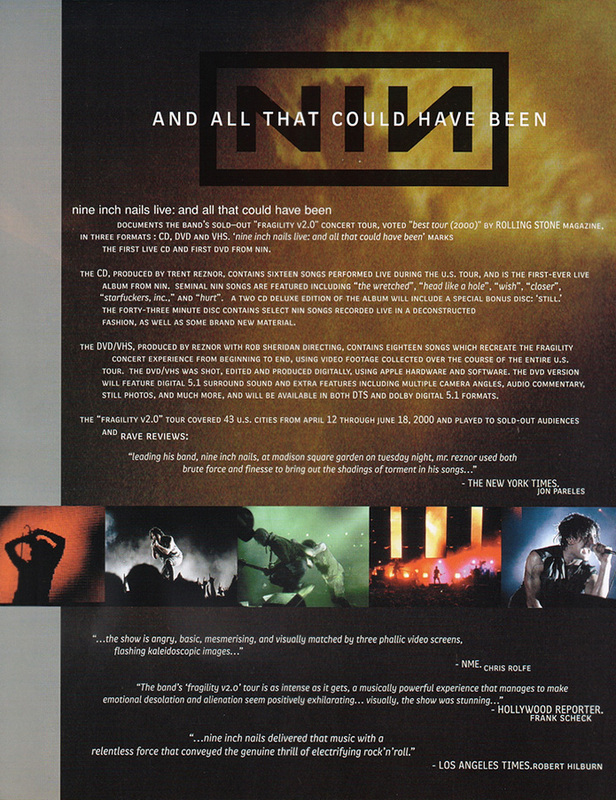 Remember, Nine Inch Nails Live: And All That Could Have Been is due out in less than a month! If anyone who has any of the above posters/flyers/et al would like to send them to us, we'll do our best to get them online for everyone. In a related thread, the (digitalnoise) news page reported earlier this week that you can download a NIN Live e-card from Interscope Records' website. Available for both PC and Mac, this digital postcard includes a sample of The Wretched performed Live. Thanks to Jeff &amp; digital noise for the information. We've been informed that reports concerning a new record, download of music in progress and the title" reported at another news site are untrue. We do know however that a chat with Trent "may happen", but no further details were given as of yet. A second source concurred with this information and added that anything found at the official site was an idea in progress. Nothing was ever set in stone. Our sources also wish to extend a Happy Holiday to all! Bob was nice enough to send us this scanned promo for the new release and all that could have been. MelCG sends word that boom31 from Perfect Isolation pointed out this CDnow article. In it, it mentions that Charlie Clouser is forming a new band with guitarist Troy from A Perfect Circle and Jason Slater from Snake River Conspiracy, entitled Revenge of the Triads. Sounds like it could make for an interesting combination. 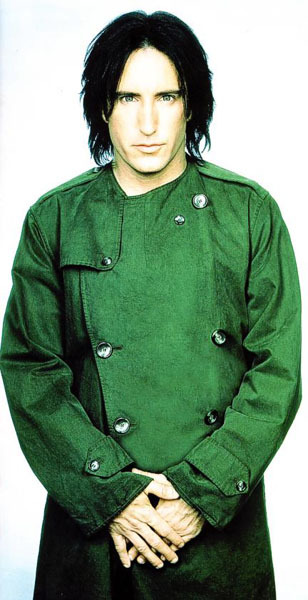 One big supporter of the Macintosh and technology in general was a kid from Pennsylvania named Trent Reznor. Trent was raised on techno-pop, everything from the Human League to Depeche Mode. Machines were his thing, he even worked as a keyboard salesman in a music store for a while. It was his job to demonstrate the capabilities of the newest gear to all the customers. 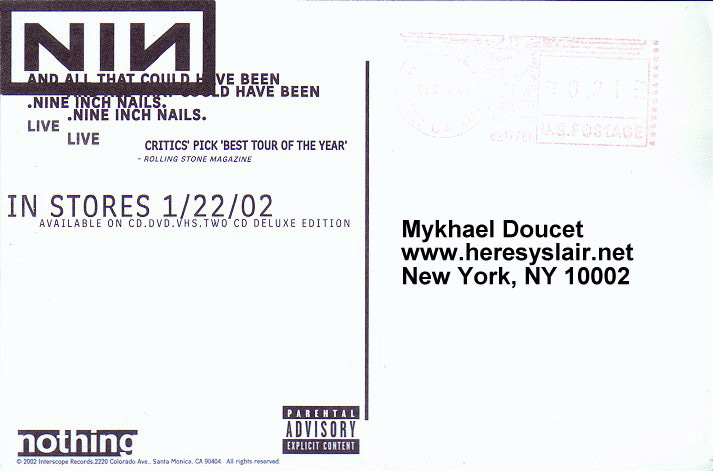 Mykhael Doucet, webmaster of heresyslair.net, sent in scans of the postcard promoting the January 22nd release of nine inch nails live: and all that could have been. You can click on the thumbnails to view high resolution scans of the front and back of the postcards. Thanks to Travis, who sent this link along about Eric Gorfain, the man who is responsible for re-creating Radiohead's OK comptuer in its entirety using a string quartet. The article has mention of Gofrain possibly doing the same thing with a set of Nine Inch Nail's songs. DIGITALNOISE.ORG has sent along word that nin.com has updated their website with a new teaser for the Still deluxe format cd featuring new music! Check it out now! mr moth sent in word that the January issue of Spin Magazine contains a full page ad for the compilation CD, Spin This - on which appears the elusive Trent Reznor remix of N.E.R.D. 's track, Lapdance. According to the ad, the CD was released - particularly to Best Buy - on December 4th. So if (unlike York PA) you've got an area Best Buy, check it out. The remix really grew on me, and it's definately one of those tracks best played at high volume. ash adds that the compilation only contains the edited version of the track, which is considerably chopped up due to lyrical content. Argh. A little weekend update for you on some nice interviews that have been coming in. The previously mentioned GetMusic interview is a well conducted conversation an can be seen in very high quality at this archived page. 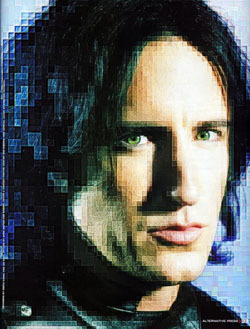 One of TechTV's shows, AudioFile, will be interviewing Trent Reznor about the Live DVD on December 13, at 8:00pm. You can check the show's schedule at this address. Thanks to xshock for that update! The December issue of the Nothing Records online fan magazine, Sick Among the Pure, is now available. This month features a review of digital noise, some nice reader submissions, and generally more reading than previous months (though I managed to avoid ranting to them this month). So make your way over there and check it out. Get Music will be featuring an interview with Trent Reznor this Friday at 11:00am PST and 2:00pm EST. Look on the schedule for December 7th under Nothing recording artist, the A List. Thanks to nigel_e. 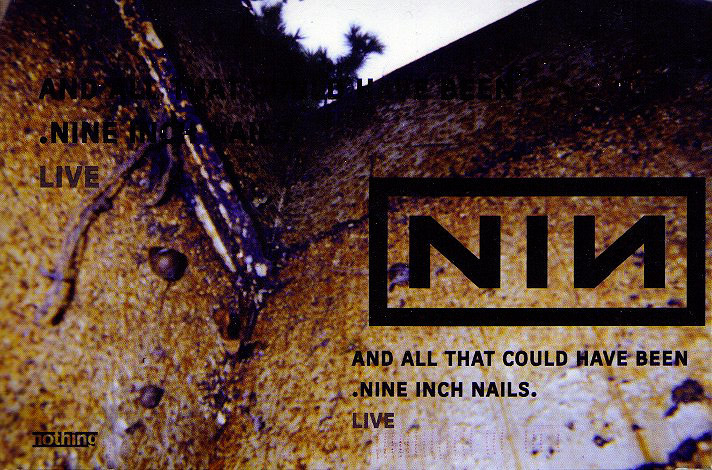 ...With this live disc (and corresponding DVD), Nine Inch Nails have arrived at that elusive point where artistic fulfillment and audience expectation coalesce. 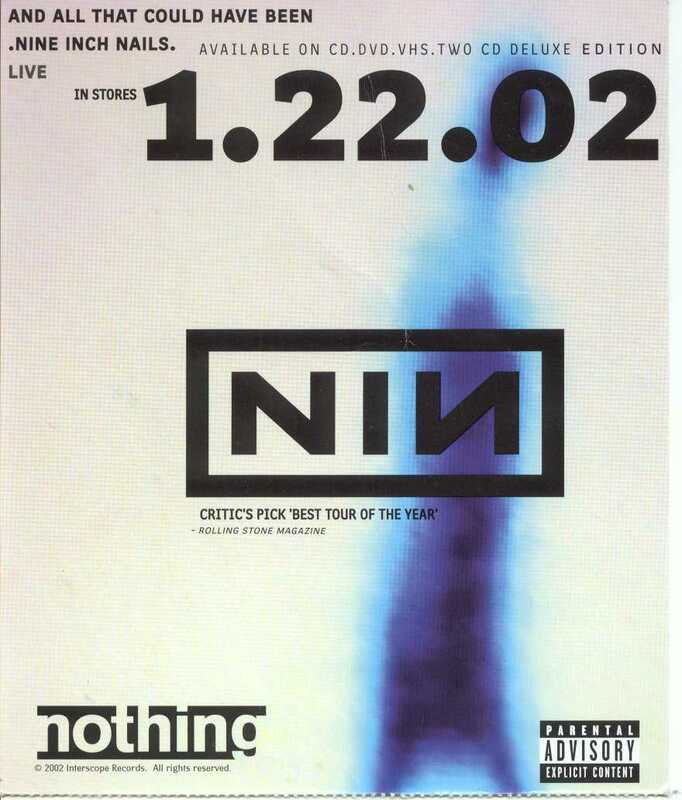 The album works as the best NIN mix tape you never got around to making, as well as an aural resume of Reznor's capabilites and his potential future aesthetic options. The days of him stomping an assembly line of DX-7 synths to rubble onstage may be over, but that only means something else - man, machine, or perhaps Reznor himself - is gonna pay later. Even after 11 years, NIN's ride remains as exhilerating as ever. The interview, titled "Been There, Rocked That," Jason Pettigrew talks to Trent about assembling the DVD with Rob Sheridan, touches on how limitless budget doesn't spruce up the 'NSync arena gig he went to, and compares Radiohead's recent ventures into the experimental with The Fragile. Trent also talks about Tapeworm being next up now that the DVD is done, and a few other nice bits here and there. So that we don't completely circumvent the process of you going out and picking up a copy of the publication where this interview is, we're not posting the whole thing for a while. But you can click on the thumbnails of these photos for larger scans, again kindly provided by Venus. Enjoy! Deadpool5 let us know that Telefon Tel Aviv is a featured artist at Audio Galaxy. Visit there to listen and also don't forget to stop by the newly opened official site. Morpheus Techno_Pagan also sent in a small news item stating Charlie Clouser is listed in the "Friends" section of the Uberzone album called "Faith in The Future". (Charlie did not play on the album though.) On a side note, "Faith In The Future" features a track called "Frequency" with vocals/guitars performed by Page Hamilton (ex-Helmet) whose highly-anticipated album (to be released in 2002) will include keyboard/programming/production work by C. Clouser. Please visit the Remix Files for more CC info.